Canadian real estate inventory is finally catching up to demand, and might actually be overshooting it in some places. Canadian Real Estate Association (CREA) numbers show November saw an increase in new listings across the country. This trend was most pronounced in Toronto, where the number sales aren’t keeping up with the new inventory. This could mean more downward pressure on prices in the country’s largest real estate market. 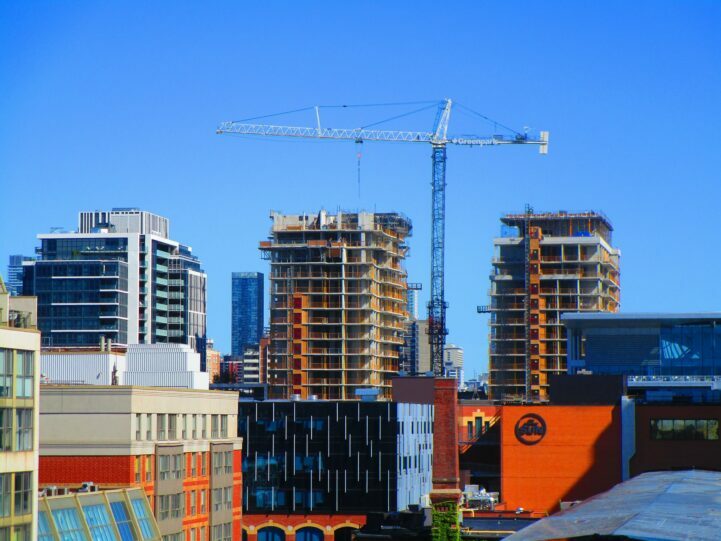 The greatest increase of inventory was observed in Toronto, Fraser Valley, and Vancouver. Toronto saw 14,349 new listings in November, a 36.4% increase compared to last year. Fraser Valley saw 2098 new listings, a 34.7% increase compared to last year. Greater Vancouver came in third with 4217 new listings, a 31% increase compared to last year. All three of these markets were coming off of inventory lows, so the rise in inventory is somewhat expected. The largest declines of inventory were observed in Trois Riveres, Saint John, and Gatineau. Trois Riveres saw 131 new listings in November, a decline of 18.1% compared to last year. Saint John saw 242 new listings, a 14.5% decrease from last year. Gatineau saw 470 new listings, a decrease of 12.6% from last year. Worth noting these three markets are relatively small, so the decrease is emphasized. Something we always like to remind people is inventory doesn’t matter unless compared to sales. 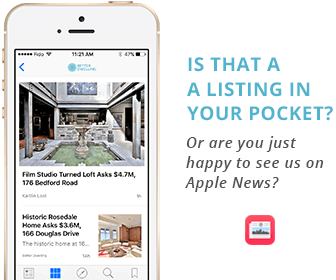 One quick way CREA uses to gauge this is using the sales to new listings ratio. The higher the ratio, the hotter the market. The lower the ratio, the colder the market. The closer it is to 50%, the more balanced the ratio. Some caution should be used when looking at these numbers. For example, a market with a high sales to new listings ratio may be showing a quick decline. These are sometimes colloquially referred to as a falling knife, because you don’t want to try and catch it while it drops. The opposite is often true as well. A market with a low ratio that’s climbing may be warming up. Developers and flippers might want to check these markets out for deals that could maximize profits. The regions with the highest sales to new listings ratios were London, Windsor, and Victoria. London and Windsor, both located in Southern Ontario, had ratios of 78.9% and 75.2% respectively. Victoria, BC came in third, with a ratio of 74.9%. The biggest declines in sales to new listings ratio were in Toronto, Niagara, and Kitchener. Toronto had a sales to new listings ratio of 52.9%, a 20% decline compared to this time last year. Niagara, which is in the same economic zone as Toronto, had a ratio of 71.5%, a 13.3% decline compared to last year. The Kitchener-Waterloo area, also in the same economic region as Toronto, had a ratio of 73.7%, a a 9.2% decline compared to last year. Since you’re probably curious, Greater Vancouver has a ratio of 65.4%, a 4.7% decline compared to last year. Expect downward pricing pressure in Canada’s largest markets, as inventory continues to climb. Additionally, CREA anticipates national sales numbers will drop to 486,600 sales in 2018, a decline of 5.3% from last year. On the upside, inventory climbing and less sales next year is good news for buyers. Which makes it a great time to buy. We’ll see higher prices in Toronto in soon, just a temporary blip. I don’t think you read this correctly. Re-read, come back and comment. lol…my brain blurred his/her comment once I read ‘real estate’ in the name. Good point. Historically what you see is money pile back in, an uptick for 1-2 of quarters which never reaches the peak, and then a cooling that continues, maybe with small upticks, for 4-16 quarters as the market flips. What is interesting is the over-leveraging…this will be our ‘sub prime’. It’s not a great time to buy. It’s a great time to keep waiting for the prices to go down more and more. Why buy now when you can buy in one or more years for less? The temporary blip you’re talking about happened in 2008-2009 if I remember correctly because at the time houses were not as over inflated as today and the interest rate has kept going down until lately. Today it’s different, It’s actually the opposite. Extreme over valuation and the interest rate should go back up. It’s entirely possible that this is Canada’s version of the US 2008 crash, and that there will be a softening over the next 10 years. I actually hope it is, because I’m ready to buy another property if prices soften. I’m in no rush to buy more property and will wait to see if prices continue to trend down (once the new regs are in place and what happens to all that new condo inventory being built and bought up by investors). Condos are up now but if investors begin dumping them, we could see a reversal and that would be the beginning of a market unravel. I would definitely buy if that started happening. So true. It’s also important to note that current inventory crunch isn’t always indicative of proper demand in these kinds of environments. When everyone is scrambling to buy a house, people with extras sometimes wait until they get a peak price that they’re looking for. Suddenly when the market starts to cool, all of the inventory starts to appear, as we’re seeing in Toronto. This is actually what they saw in places like Pheonix. People say on inventory, often older people that were downsizing. They would keep their detached, move into a condo. Leave the detached until it was peak. When the market started to deflate, they all sold causing prices to capitulate lower. Thank you for putting my faith back in RE agents…good that you didn’t end with a pitch to go buy a condo. Only for a short period will supply increase. There is NO market without speculators which will turn on a dime. And as we have seen many times, they turn the other way very quickly too. The market cooling is usually due to economic factors – here we only have increased regulation which drive speculators out in the short term, but no real reason to expect economic hardship to drive supply of existing homes. Always look at stats and pattern in the context of current fundamentals, otherwise you will be always wrong. Housing has been detached from fundamentals since central banking became detached from those same fundamentals about a decade ago. Another biased better dwelling article! Fail to mention that from mid last year to about March 2017 we had record low inventory. Like mind boggling in the 5000’s range where its typically in the 10k to 18k range, which is what it is at right now. It doesn’t bother me that you put out all this data but your open biasedness does. As soon as market goes back up I’m just dieing to see what silly excuses you’re going to come up with. You just kinda kicked your argument in the nuts. What’s wrong Kyle??? Are you upset because your Richmond Hill flip isn’t turning out the way you had hoped? Let’s revisit this comment of yours and see how things are sitting in the spring when prices are down ~20% y/o/y from the 2017 madness! A 20% decrease would mean prices are back to the exorbitant prices of 2016. Hardly a win nor a collapse of the market. I think the release of TREB information will be the catalyst that takes down this market. I spent the better part of a day looking at purchases and sales over 2017 in the detached market and people are losing hundreds of thousands! Everyone that bought and sold in 2017 lost big. This post says it is 7%. So the detached portion is 50% or 3.5%(flips) of 110,000 sales = 3,850 people got killed. Also 55,000 people lost equity! Everyone that bought a detached home. Plus they paid land transfer (4% ) and have to pay 4% +hst (4.52%) for Real Estate commission. I don’t think the public is aware. But when they find out…..FOMO will turn to FOLE = Fear Of Losing Equity/Everything. New mortgage rules that will affect 90% of GTA as 90% of GTA mortgages are uninsured. No more bundling of loan. –> I think this one is underestimated. 2-4 rates increases- lets say 3. At the end of the year we will be back to 2015 prices.